This imperial rosewood twist-action pen has a special anti-retraction mechanism to prevent the point from retracting while you write. 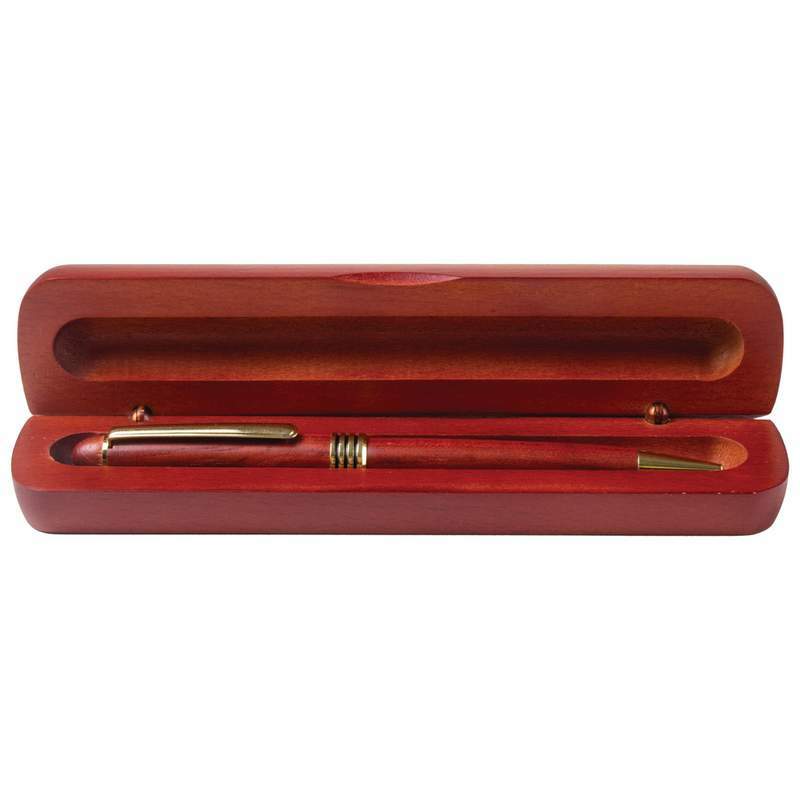 Features a brass clip, black ink and comes in a rosewood finish wood gift box. Uses Cross®-style refills. Engravable. Box measures 6-7/8" x 7/8" x 1-1/2". Limited lifetime warranty. Gift boxed.